Frode has more than 9 years’ experience with carrier billing and DOB services, and over 17 years of Telco experience. He started in Telenor Norway as an IT consultant, and quickly progressed to Team leader, Project manager and manager for the Nordic IT support offices. In 2002 he started in the Network division and moved on to Operations. He was selected to launch a new program in Telenor within the Attack Sales project and achieved impressive results. This was followed by new challenges as Partner Key Account Manager in the Partner division, with large customer sales as his main focus. This was where he caught his interest and knowledge for carrier billing and partner distributed sales. 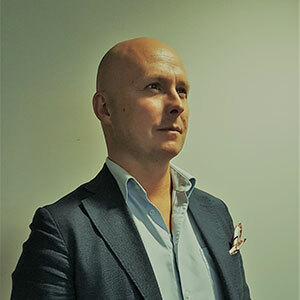 Frode left Telenor in 2013 to start as Head of Sales and Distribution in the project called mPayment, a joint venture with the Norwegian MNOs. mPayment became Strex in 2014. Being responsible for the commercial business, Frode has successfully developed Strex to a successful company with 10 employees, a 100 million Euro business and a partner model based on the established aggregator model. As Head of Product and Business Development, he is now responsible for product management and development and new business strategies.